Well they may be very small elements in the house but they still hold utmost importance in the decor as well as for the relaxed nights in bed. Wondering what we are talking about then we must tell you it in nothing but the very own pillow. They too need an outfit to cover up, desire to look good. So why not try out something interesting to let them have colors to it. It is the single element which for the majority of the time, rub tests rule. It will tuck you in with its comforting fabric when you are tired and will let you have the best of the sound sleep. Fabrics such as cotton making up very beautiful pillow covers will change the entire look of the room. With the covering at hand you can give a new look to your home every day. 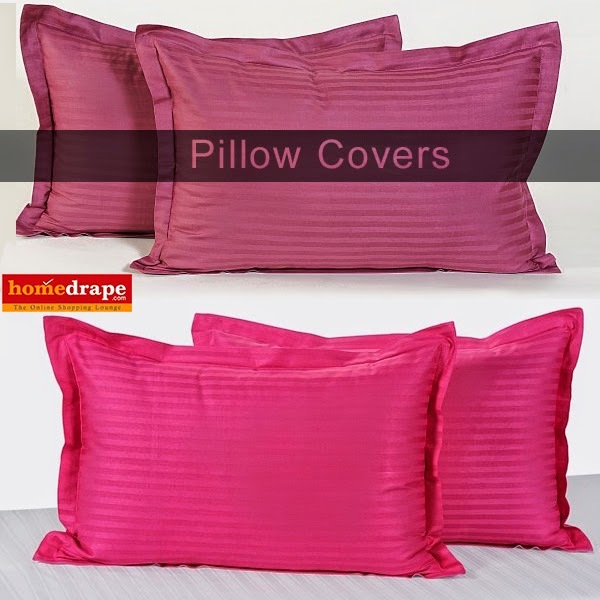 During the hot summer months you can have a single colored covering on your pillows which gives a very clean look to the bed and making it very inviting. The autumn and spring season can be welcomed with flowery patterns on envelops. Spreading fragrance throughout your home you can bring in freshness to your home. When the earth creates new life it brings a fresh new air to it, let that energizing air fill your dwelling with vibrancy. Colorway is the scheme of two or more colors in which a design is available. It helps to pull out a same theme all over without a fault. Any design or pattern your desire to implement in the house but with varied colors can be done in a colorway. For fabrics, wallpapers and other interior design motifs, you can find this scheme in the market. It is generally recommended for those who want to follow the same theme throughout the designing process with a variation in colors only. In newspapers, magazines or even home decorations can follow this design scheme. Just imagine how magical it will look to see your every room drenched in the glory of same pattern. Be it floral, paisley, checks or stripes, anything that you would love to call yours can become visible in every nook of the abode. Before you get excited make a choice between traditional and contemporary design elements to witness the real magnetism of colorway design scheme. Flowers are the things that bring you joy and excitement. They play an important role in the lives of people. They represent love, forgiveness and play a diverse role in festivals and occasions. Some use it as a gift and some to express their gratitude therefore they appear in a number of things, like outfits, dresses, curtains, posters and many more. In fact you see flowers on a daily basis. To make it more usual, they are even designed in household products. You can even take them on your dining table with the help of covers. 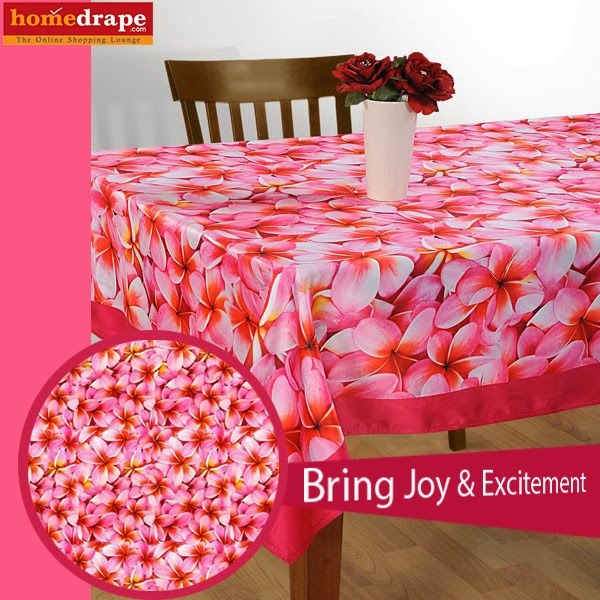 A different feeling of excitement will surge through as you see these table covers. A feeling flowery garden comes to your mind every time you sit for a meal. Your food will certainly taste better but more than that you room will be filled with the soothing ambience. It may be of any color of designs but it will still be imparting a wonderful appearance over your table. A sense of calmness and serenity will take your over as you dine around your table. You will certainly create a better dining area for your family without any doubt. The blissful nature of these flowers will take you to a land of your dreams. You might have heard of shiny, bright, warm and soft pastels but not about luxurious ones. So, let’s just get introduced to the brimming shimmer of luxurious pastels. They have the same grace and charm but exude comforting sensations too. The reason behind is the cotton poise that would make you feel enamored, caressed and loved. Apart from unusual glow in the setting, something adorable would blow up in the bedroom. With plain cotton bedding get ready to explore the magnetism unrevealed in the room till now. Red, maroon, beige, ivory, taupe or orange, there are various ways to ignite the fanaticism in the room. They feel so soft on eyes that you couldn’t stop staring at them. Each and every time they are going to hold your attention to fall in love all over again with your sleeping zone. Your Shower Is Still Incomplete….. When you get out from the bath tub, do you feel refreshed? Every time if shower doesn’t leave you fully boosted for the rest of the day, it is still incomplete…… Incomplete shower lacks rejuvenating elements. A little dose of glamour, dreamy images and desired serenity can take you to different world in the bathroom. It is possible with shower curtains. Yes, shower curtains that are not wholly meant to keep a check on water on the floor but also to reenergize your mind. If you have ever observed, they have got such an extensive variety in terms of colors and patterns. This is so because now people love to have something in bathroom for pondering, for dreaming and for relaxing the stressed mind. The woes of professional or personal life must end up with every bath. Here, you need the charismatic shimmer of digitally printed shower curtains. They would inspire you to dream more and achieve more. Find out your source of inspiration and let it accompany you in shower to make it worth. Nature, wildlife, flowers, sports, favorite celeb or anything else that makes you feel happy can surround your bath tub. All thanks to its highly breathable fabric that doesn’t make you feel suffocated during shower. Its sheer transparent fabric is not just waterproof but light in weight as well. Make it clean with a wipe of wet cloth and it would be enough to weave a new story every time you take a bath behind it. Moreover, you can finally make some style statement in an otherwise boring bathroom. Fill it with colors, with glamour and desired style to start every morning beautifully. Then only your shower would be called completed and enthralling for the soul. 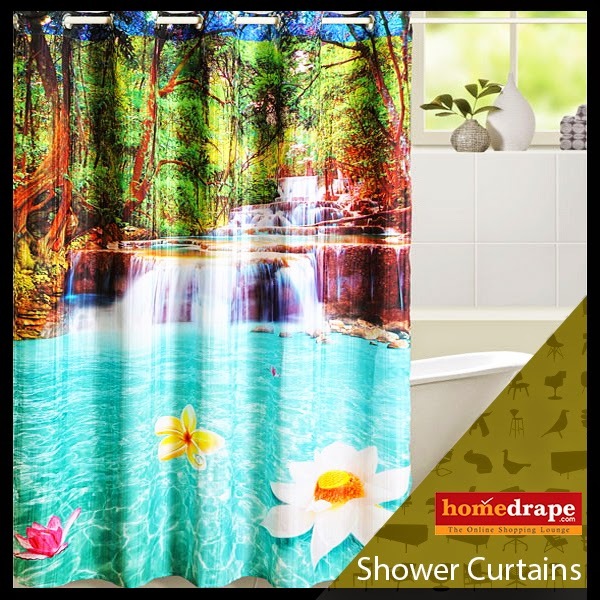 See the difference by using these curtains to experience never felt before freshness after shower. You must have admired the beauty of flowers in the garden you visited. With the scenic beauty surrounding you, you can hardly remember the negativity of the world. The flowers have always been and will always be the best thing that has been created by god. Beauty of the flower enchants you with the mesmerizing appeal. With the fragrance one can breathe in the freshness of the air. Countless flowers in the world have given joy to us in more ways than we can think of. They are present in every phase of life, whether a child is born, in the festivities; in romantic dinners even in marriage it plays a vital role. So why not incorporate the alluring charm of the florets to the home linens. 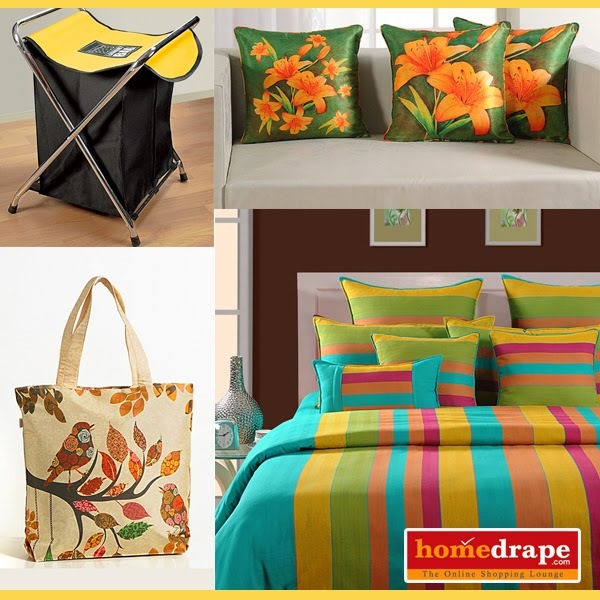 Whether it is cushion covers, bed sheet, quilts, comforters, curtains, rugs etc. everything will have a touch of flower to it. Imagine how exciting life would get when we have reasons to smile which are spread all over our home. You can bring in the detailing of the blossoms to your home with stylish bed sheets will give you comfort at night. You can spend the night on the bed of flowers with your loved ones.